Established in 1981, The Bob Putnam Agency is a full service New York insurance agency. We offer nothing less than an outstanding customer experience, which is reflected by our long standing relationships with clients. If you are looking for top quality insurance, you’ve come to the right place. Our knowledgeable agents can write policies throughout the entire state of New York. The satisfaction of our valued customers has been our priority since day one and we continue down that path today by helping individuals, families, and businesses with risk management and of course insurance. New York is our home and we believe we can strengthen our community with the services we offer. Here at The Bob Putnam Agency we have worked hard to build a solid, knowledgeable community of insurance specialists. The Bob Putnam Agency welcomes you to join our community and learn about our extensive insurance options. Our mission at The Bob Putnam Agency is to match you with the most comprehensive insurance package that caters to your lifestyle. We offer various lines of personal and commercial insurance that can be customized to fit your needs, whatever they may be. The Bob Putnam Agency is a New York insurance agency with offices in Cooperstown, Worcester, Binghamton, and Palatine Bridge but we can offer our services to everyone across the state of New York! Insurance can get overwhelming when you attempt to select policy options on your own – our agents can help you design comprehensive policies. Also, when you find a trusted agent – like those at The Bob Putnam Agency - you can save time and money by opening all of your insurance policies under one roof. I have been with your company for many years and wouldn’t think of changing to anyone else. The service is great! You are one of the few companies I can say that about. Very helpful, good agricultural industry knowledge. Friendly service. I just wanted to let you know how happy I am with Bob Putnam Insurance. I have to say that the agents in the Greene office have exceeded my expectations. 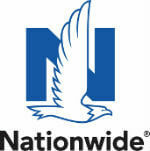 You have been very helpful and have made me feel very comfortable changing over from State Farm to Nationwide Insurance. You have answered all my questions with a smile and patience. I applaud your professionalism and pride you have in your job. Thank you for making me feel comfortable and secure through my decision to change insurance companies. Niki, Shelley, and Susan are awesome ladies to work with. Very knowledgeable and helpful. Would highly recommend!!!!! 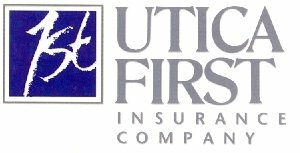 My parents and I spent almost 40 years with one of the “big” insurance companies in Oneonta. All 40 years without a single claim. During a stretch of bad luck in the early ’90’s I ended up filing 3 small, very small, claims in a span of about 2 years. That company that had collected mine and my family’s money for 40 years without having to pay out a single claim dropped our coverage. I became a client of the Putnam agency immediately after. I have been “family” every since. I am not treated like a client but more like a friend or family member that they want to take care of. As a matter of fact I now consider them family friends. I trust the Putnam agency without question. I strongly recommend the Putnam Agency to all my friends and I now recommend them to you. I love when I walk into any of the 4 offices and I am greeted with a smile and friendly hello. They helped me understand what exactly I was getting with my coverages. 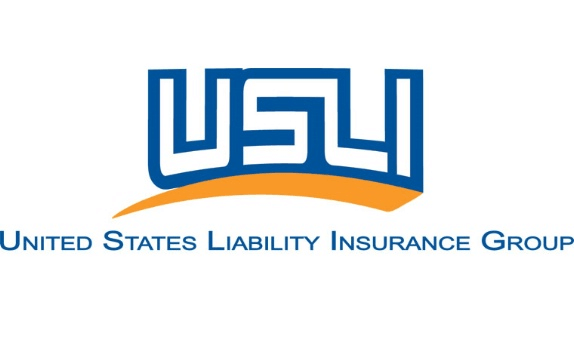 They made the whole insurance process easy and painless. As a customer of Bob Putnam Agency for several years I have been very pleased with the service both Insurance wise and Company Employee wise! I am greeted as soon as I walk in the door by smiling faces! I look forward to walking into your Greene office and very pleased with how your employees treat customers. Love the staff at the Putnam agency! They always answer my questions with urgency and professionalism. They were not cheaper when I switched to them 4 years ago but because they took the time to find out what was important to me I really enjoy doing business with them. I have since looked around to check pricing and they come up lower than many other quotes I have been offered. Our family has been with the Bob Putnam Agency for over twenty five years and we have never been disappointed with their service. Dealing with them has made me feel as if I have a family member in the insurance business, someone who has my insurance interests at heart. They are, and always have been extremely courteous, efficient, knowledgeable and friendly. Suggestions and explanations are frequently offered to allow us to choose what we need, rather than what they want to sell us; they are not a "one size fits all" agency. Nothing is ever a problem and I would recommend them without reservation. Thank you for the exemplary service over the years. Great people, saved our family lots of money when we switched. Staff much more friendly and professional than those "other guys" in town. Will definitely recommend!! Whether I walk in the office or call on the phone, both Theresa and Mack are always very friendly and helpful. They put things into terms I can understand and make me feel like I'm not just another customer. Talk to them if you want to save some money today.